“I am a teacher at heart, and there are moments in the classroom when I can hardly hold the joy. When my students and I discover uncharted territory to explore, when the pathway out of a thicket opens up before us, when our experience is illumined by the lightning-life of the mind—then teaching is the finest work I know” (Palmer, 2017, p. 102). Parker Palmer’s words summon lofty questions for instructors in higher education. These questions loom even larger for those of us who are adjunct instructors. We remain engaged in universities. But we don’t have the benefits that accrue to tenure-track faculty members. Our contingent status colors everything we do. Our most critical challenges lay in the opportunity to teach the same class year after year. Sometimes that means multiple sections per semester. The risks of staying in our pedagogical comfort zones are significant in these cases. Where and how do we find the motivation to succeed? How do we maintain our energy from class to class, from semester to semester? How do we remain engaged? In short, how do we experience the enthusiasm and joy that inspired our initial decision to teach? Here’s a slightly different scenario. You’ve been asked to teach a class for the first time. You don’t know if you’ll have the opportunity to teach it again. It’s normally taught by a tenured faculty member. As an adjunct faculty member, your time and attention are limited. How do you manage this uncertainty? How do you marshal the time and energy needed to prepare? How do you identify and tap into the internal resources you need to teach a class even if it’s only once? I’ve grappled with these challenges repeatedly over the 20 years I’ve taught in higher education. I’ve used several of the strategies listed below to remain fresh, engaged, and excited. Others have been shared with me by colleagues over the years. Attend, and if possible, participate in professional and personal development events relevant to your subject area. For example, join Toastmasters if you teach public speaking or business communication. Read literature (both trade and scholarly) related to your subject area. I’ve set up alerts so I know what will be published in key academic journals covering research on topics that interest me (i.e., crisis management and communication, leadership, organizational behavior, and management communication). Identify and incorporate innovative ways to teach specific topics. For example, I research and experiment with ways to teach impromptu speaking techniques. This effort includes reviewing books like this one. Invest your limited class development time into specific topics and/or teaching tools you enjoy. In my case, I add to my PowerPoint skills. I also return to review teaching classics by Barbara Gross Davis and William McKeachie to see how I can apply their advice to current teaching challenges. A more recent work by James Lang, Small Teaching, also offers invaluable insight in this arena. Invest your class development time on topics and tools you can employ outside the classroom to maximize the investment of your energy. Write a journal article, teach at another school, or deliver training programs in the private sector. For example, I’ve develop and deliver Webinars for organizations outside academia on workplace communication, effective meetings, and other topics. These are based on materials I first delivered in the classroom. Write about how you developed your course, including specific teaching techniques you used. For example, see my article on how I developed a course on crisis communication. Present at teaching conferences and other professional association events. For example, I am facilitating a panel at University of San Francisco’s Adjunct Faculty Conference on February 28, 2018. It will focus on the themes addressed in this blog post. Take courses at accredited educational institutions or online (e.g., Udemy) in related disciplines or to help you develop teaching skills (e.g., using PowerPoint). Incorporate a nonacademic interest into your teaching toolkit. Consider my experience in teaching organizational behavior. I gave an assignment where students had to analyze song lyrics using course content (a technique I learned about from Dorothy Marcic). Do a deeper dive into prerequisites and/or other courses in the sequence or degree program you teach for. In turn, you’ll make connections between what students are learning now and how they will need to apply it elsewhere. For example, as a faculty member for the MBA program at University of San Francisco I taught my management communication course in the same quarter students were enrolled in a course on quantitative analysis. I reached out to the instructor. We shaped a presentation assignment so students could apply their quantitative analysis skills through it. It truly was a win-win-win (me, the other instructor, and students). Observe other faculty members as they teach. Take copious notes. Reflect on what you observed. Determine what makes sense for you to incorporate into your teaching. Leave the rest behind. Before I started teaching at the Naval Postgraduate School, I visited another class in the MBA program. I found it especially helpful for learning how students engaged each other and the instructor. As a newcomer to teaching adults in the military this exposure was critical. My observations helped me immensely as I prepared for my first class. Take advantage of faculty development resources offered by your institution. Invite someone knowledge about teaching and pedagogy to your class to observe and provide feedback on how you can improve. Alternately, check out resources on teaching (like the ones listed on this page). In other words, many institutions invest in the teaching skills of their instructors. Why not take advantage of what they have to offer? Dig deep into end of semester evaluations completed by students. In what areas do you score especially high? In what areas do you not score as highly as you’d like? What themes come up in the narrative comments? What changes do you think you need to make? What’s involved in making those changes? If needed, how can you get help to improve? In short, be open to any and all feedback from students. 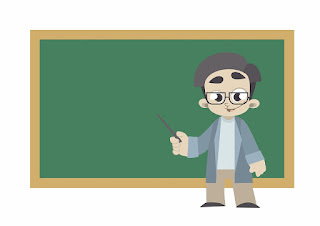 But remember to treat a comment from one or two students as interesting, but not necessarily reflective of overall sentiment about your class. The bottom line for me is that I look forward to the beginning of every course. More importantly, I’m able to maintain my energy and enthusiasm throughout its duration. These 13 strategies have played a major role in enabling me to do so. Palmer, P. J. (2017). The courage to teach guide for reflection and renewal. New York: John Wiley & Sons.